Sky-watchers and science buffs are getting ready to turn their gaze skywards, with the world ready to witness a rare heavenly phenomenon - a total lunar eclipse coinciding with a 'Super Blood Moon.' Lunar eclipse or Chandra Grahan is to take place today. The event is noteworthy, according to the American space agency, National Aeronautics and Space Administration (NASA), as this will be the only complete lunar eclipse that will occur in 2019. 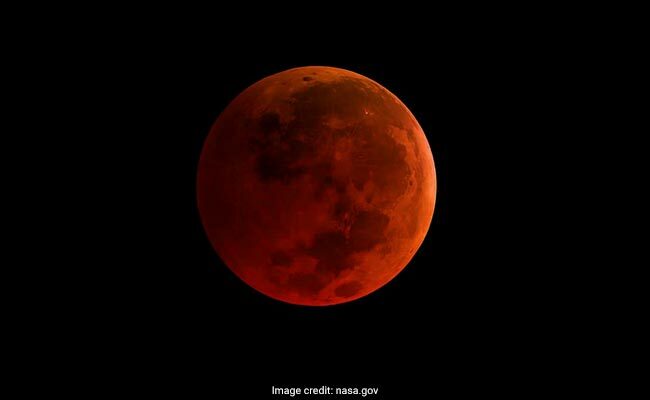 The natural occurrence on 21 January, 2019 is increasingly being referred to as the "Super Blood Wolf Moon" and this name has generated a significant amount of interest around the event. The 'Super' in the name refers to the fact that the Moon will be closest to the Earth in its orbit, during the full moon. 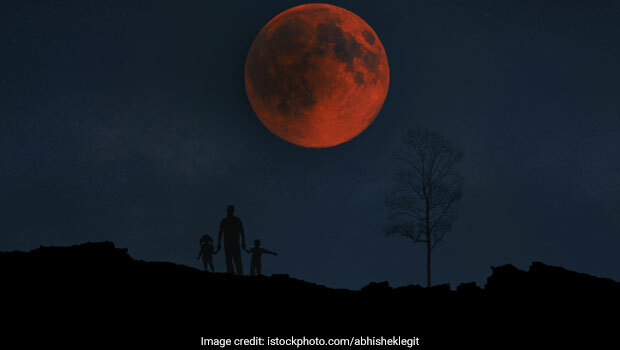 The 'Blood' in the name refers to the reddish-orange hue that Earth's natural satellite will take on, thanks to the shadow of the Earth that will fall on the Moon. The total lunar eclipse, or the 'Super Blood Wolf Moon,' will take place late on the evening of Sunday, January 20th and will continue till the early hours of January 21st, Monday. The timings of the total lunar eclipse are as follows: the eclipse will begin on Sunday, January 20th at 8:41 pm PST (10:11 am IST on Monday, January 21st) and will end on Sunday, January 20th at 11:48 pm PST (1:18 pm IST on Monday, January 21st).Unfortunately though, the 'Super Blood Wolf Moon' will not be visible to enthusiasts on this side of the globe. The incredible phenomenon will be visible in parts of the United States of America, Western Europe and Africa, as well as the United Kingdom. The lunar eclipse will not be visible in any part of Asia or India. Eclipses have been objects of fascination for human beings since our existence. Nature has displayed its wonders to us, with both wonderment and wariness. To ancient cultures and civilisations, eclipses were meant to portend significant changes in the human world, but modern science has created more awareness about eclipses, debunking all these beliefs. Health experts and doctors have stressed again and again that following a normal healthy diet is the only acceptable practice during an eclipse and that there is no need to make any changes to dietary patterns or cooking habits, during the time period of the eclipse. There are some beliefs related to eclipses that indicate that cooking food, cutting of vegetables and fruits or eating food prepared during the period of the eclipse may cause diseases and ill health. It is believed that some radiations emitted during the eclipse enter the food if it is kept uncovered or is cooked during the eclipse and that these radiations may cause food poisoning. However, there is no scientific basis or background of these beliefs and these have been debunked by all respectable scientific agencies and health practitioners. 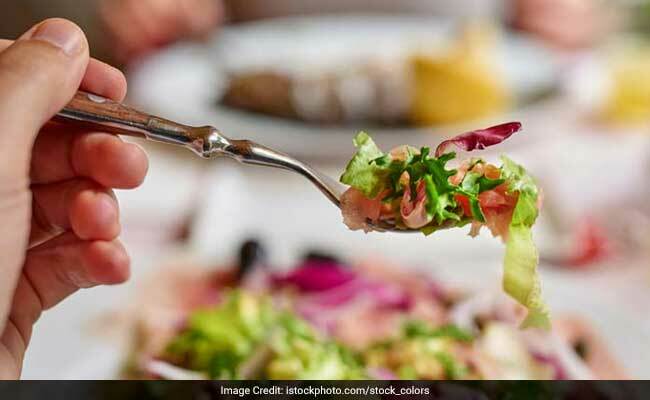 Dr. Nirav Pipalia, who is a Gastroentologist at Giriraj Hospital in Rajkot, Gujarat, believes that these diet myths related to lunar eclipse must be treated like mere mythological beliefs, with no scientific backing. "Even in our household, there was a practice of throwing out food prepared during the time period of the eclipse. But I don't see any scientific basis behind this, because eclipse is just something going on in the Universe. It doesn't affect our food on Earth," says Dr. Pipalia, adding that the only cautionary measure one should take during the eclipse is to not watch it with bare eyes. The same sentiments are also echoed by NASA that strongly contests such restrictive diet beliefs by saying, "Related to the false idea of harmful solar rays is that during a total solar eclipse, some kind of radiation is produced that will harm your food. 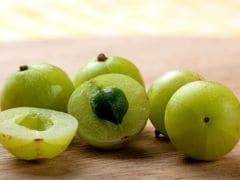 If that were the case, the same radiations would harm the food in your pantry, or crops in the field." Disclaimer: NDTV is not responsible for the accuracy, completeness, suitability, or validity of any information on this article. All information is provided on an as-is basis. The information, facts or opinions appearing in the article do not reflect the views of NDTV and NDTV does not assume any responsibility or liability for the same.